Remember this super cute engagement session? Yep, we do too! That was the day we got to hang out with Kim and Bill around downtown Frederick. That was also the day that we learned what a fun-loving, sweet and genuine couple they truly are. Fast forward to earlier this fall, and we had a blast with them on their wedding day! 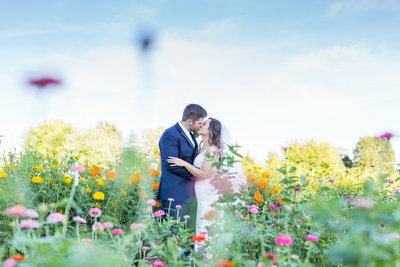 From the Tried & True Barbershop, to the Creek and the Wine Kitchenand then to McClintock’sfor the main event – this day was filled with love, laughter and unique touches that made it truly special. Thanks so much for the opportunity to relive Kim and Bill’s special day. Your photos are amazing, capturing all the special moments of the day. Thank you, Sharon! We loved getting to be a part of such a special day!